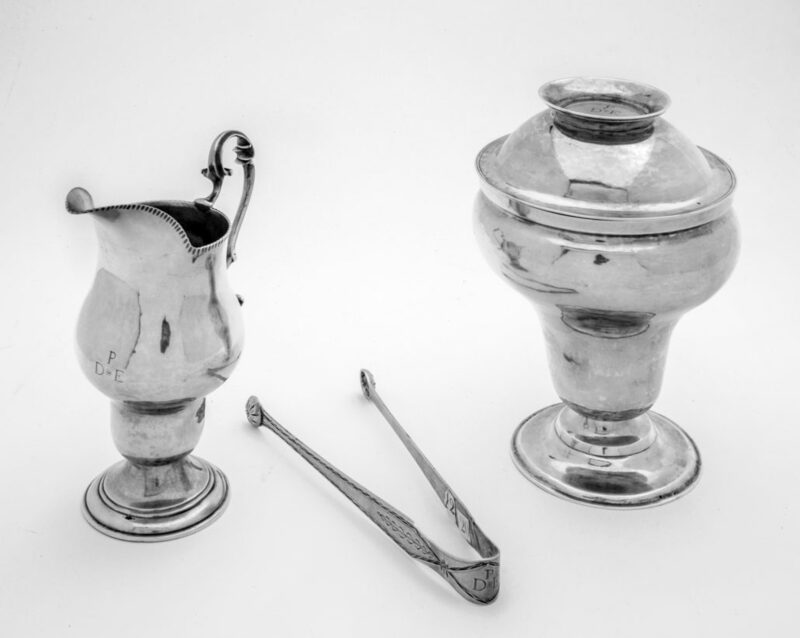 Elias Pelletreau (1726-1810), an important Southampton silversmith and craftsman, created richly detailed, beautifully ornate, and shimmering eighteenth-century objects: teapots, pepper boxes, porringers, tankards and jewelry. This will be the first museum exhibition devoted to exploring Pelletreau’s life and work since the Brooklyn Museum mounted one in 1959. Accompanied by a beautiful full-length catalog being published by Preservation Long Island, Elias Pelletreau will feature nearly 170 artifacts; silver, paintings, and furniture will illuminate the life and times of one of this region’s most significant early American artisans. The Long Island Museum has assembled many important loans from museums and private collections across the nation, including the Museum of Fine Arts, Boston, Yale University Gallery, the Metropolitan Museum of Art, the Newark Museum, and many others. While less celebrated than Paul Revere, Pelletreau created a remarkable body of work that exemplifies the best of American artisanship. This project illuminates his impressive legacy of surviving objects and business records, offering a fresh perspective into the world of patronage, commerce, and industry in colonial and revolutionary-era Long Island and New York City. Pelletreau apprenticed in Manhattan and began his career there in the 1740s. In this cosmopolitan setting, he gained a nuanced sensibility of then-current fashions and techniques as well as patronage connections. He later returned to Southampton, spending the rest of his career as a rural craftsman, supporting the patriot cause, and maintaining his assets during a time of major cultural transition. Elias Pelletreau will realize more than 40 years of groundbreaking research by Dean Failey (1947-2015), a nationally-prominent decorative arts expert. Failey began assembling this project several years before his passing. The Long Island Museum thanks the family of Dean Failey for their encouragement in continuing and bringing this vital work to our visitors. Generous support for the Elias Pelletreau exhibition has been provided by The Robert David Lion Gardiner Foundation, The Decorative Arts Trust, The Huguenot Society and Paul Guarner.